In the meantime, into a high powered blender or a food processor, drop the peeled garlic cloves. Finely chop with motor running. Add tahini, olive oil, lemon juice, lemon zest and salt. Process until creamy. 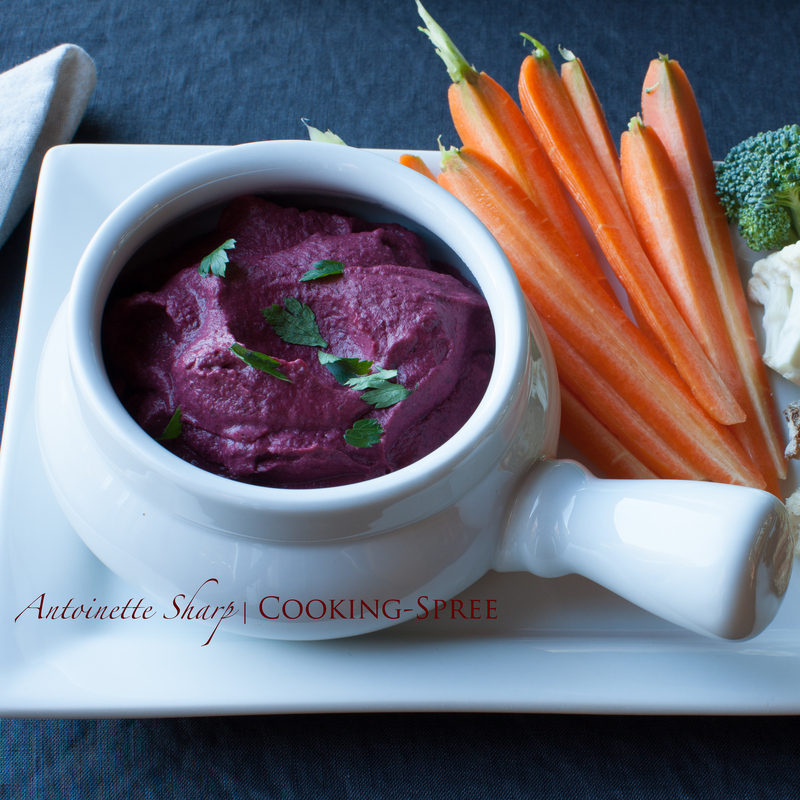 When the beets and lentils are cooked, add them to the processor or blender and blend on high speed until what you have is a red velvet hummus to dip your veggies in. Or your crostini. Or your chips. Or your fingers. As with all hummus, your taste is the crucial ingredient. Add more zest if you like it zingy. (I do.) Add more garlic if you like that extra bite (my Guinea pig does). If you aren’t on a salt-restricted diet, by all means add a good sprinkling of coarse or flaked sea salt. It looks fetching on red, and veggies like it! Cooking spree I love it. Fabulous idea and lovely pictures. I very much like beetroot and always have tahini and puy lentils in the house…so I shall be trying this. Looking good – what a colour – and scrabble is totally my favourite board game. I can never get enough of Hummi (could that be the plural..?!) I’ve tried a carrot and orange version (delicious..) but not thought of beetroot – yum! 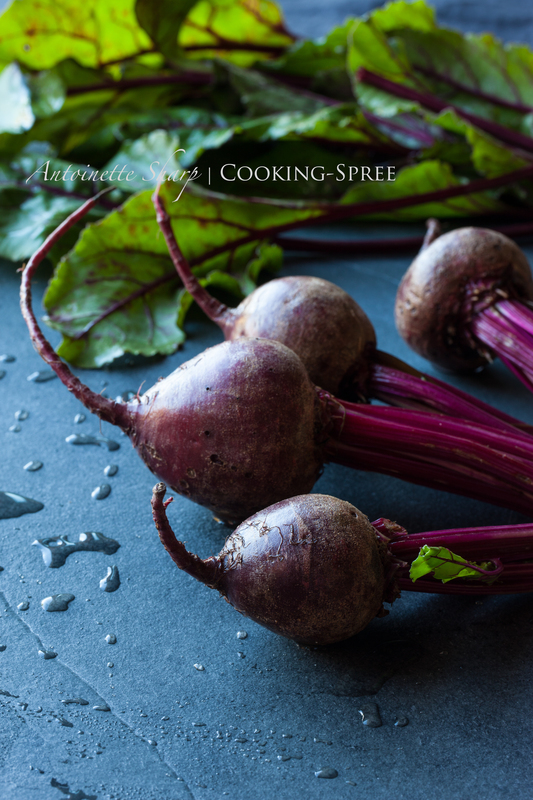 And these gorgeous photos deserve a book – that large beetroot one is crying out to be the title page.. So gorgeous and creative! I love the looks of this, and you present it so wonderfully. I do love me some hummus! Never would have imagined one with beets, though. You’re always full of surprises. I love me some humus, but this looks to have em all BEET. Can’t wait to try it! This is so smashing looking. 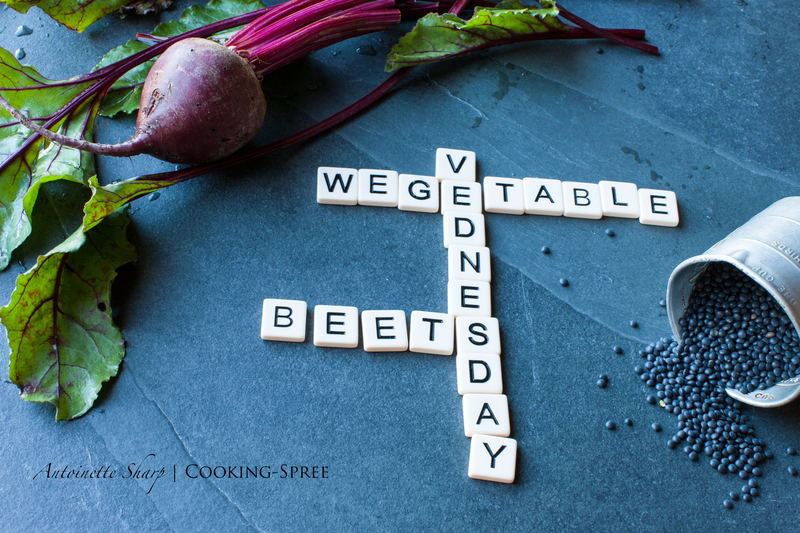 Beets, Black Lentils….Hummus…what a modern twist on the well-loved classic. Great recipe and really beautiful. Thank you so much Teresa. It’s a real healthy number, besides! I love it when a food can be delicious, nutritious and ravishing all at once! Oooohhhh…beautiful AND tasty AND healthy! Perfect! Thanks so much for sharing! My great pleasure to share! Thanks for sharing your words with me!! That beet hummus looks delightful! Why thank you, Miss May! I love the color of this hummus. With the crudité, it makes a gorgeous platter and presentation. I bet your dinner guests all remark about it when you place it on the table. I know I certainly would. Yes, I love the color of this too, and if you’re looking for a little “passion” on the table, this isn’t a bad place to start (though it’ll hardly be Enough!) : ) Thanks John! Enchanting photos and delectable recipe! 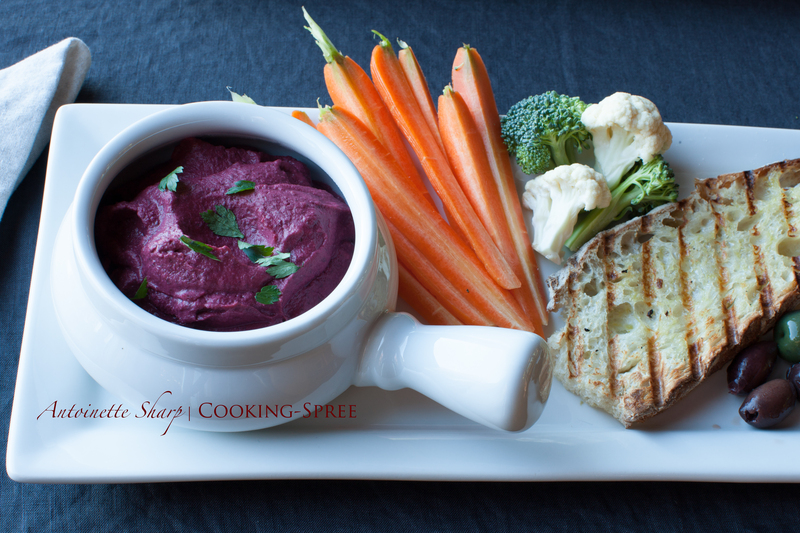 The regal purple hummus is perfect for a fall feast with friends or just snacking at the kitchen counter! It IS a nasty number. : ) Thank you for your nice words! No need to take time to reply but I’d be derelict if I didn’t add my words of praise for your photography to those of your other readers–perfectly composed in every way and totally pulls the viewer into the picture. Of course, the recipe looks great too. I’m looking forward to learning more about that project you mentioned that you may embark on in “a year from this coming Thursday”. Look at that beautiful color…simple but beautiful. Lentils and beets? There aren’t two things I like more in this world. Except perhaps cheese. This looks like a beautiful hummus and a great way to use my black beluga lentils! Thanks for sharing. Thanks Eliza B! And of COURSE you’re welcome!